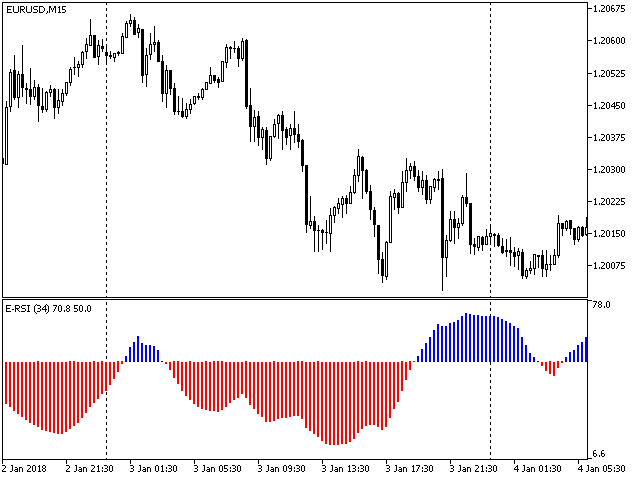 Easy Relative Smooth Index is an oscillator based on the Relative Strength Index (RSI) indicator. 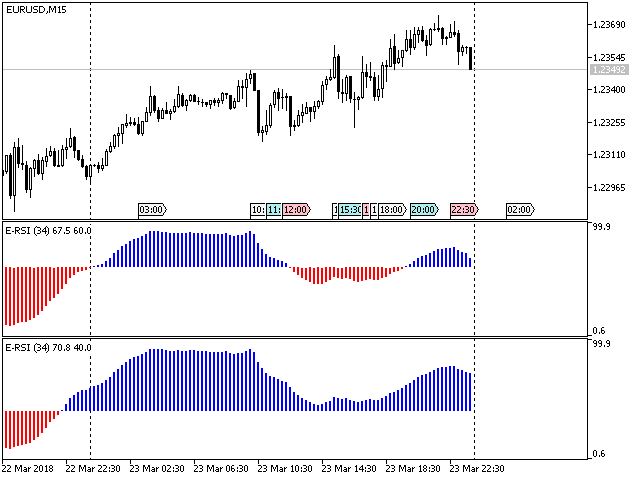 The current indicator value is compared with the maximum and minimum value of the indicator for a given period and the average value is calculated. 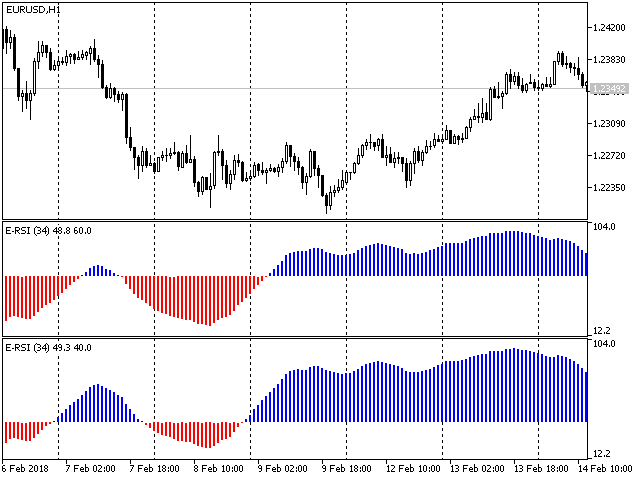 Also, the indicator values are smoothed by the moving average (MA) method. 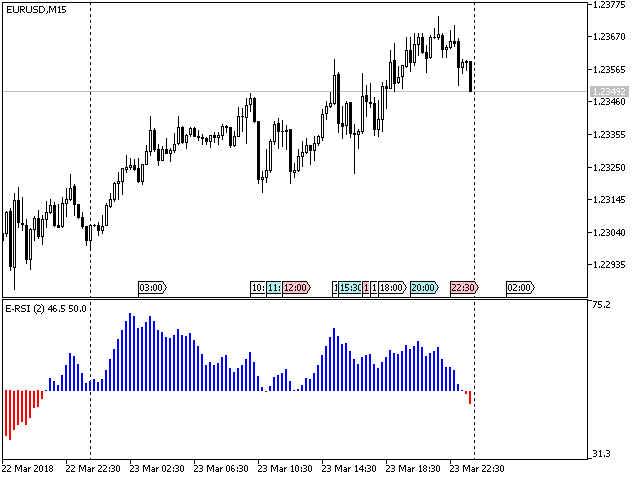 Buy signals are generated when the indicator crosses a given level upwards, sell signals are generated when the indicator crosses the level downwards.